Pravrajika Divyanandapranaji is the Editor of Samvit journal as well as the principal of the Nivedita School in New Delhi. 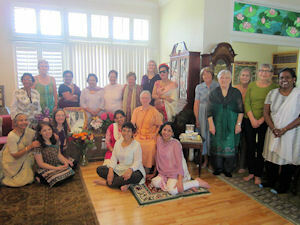 Welcome to the website of the Sri Sarada Mahila Samiti of Northern California. 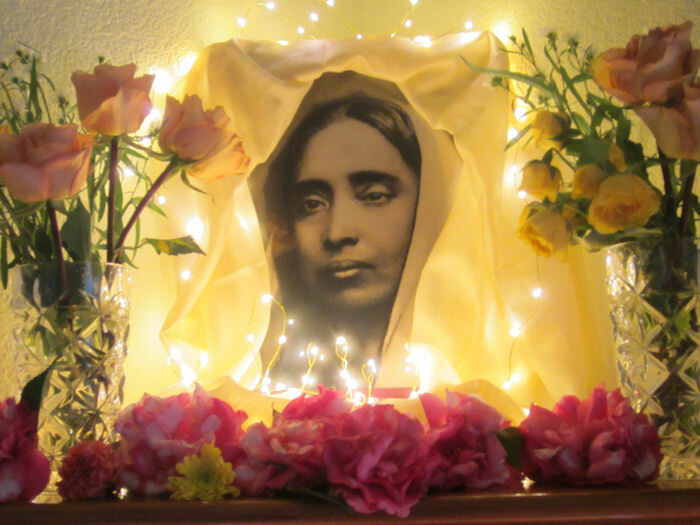 We are an association of women dedicated to the study of the universal teachings of the Holy Mother, Sri Sarada Devi and Sri Ramakrishna as taught by Swami Vivekananda in the West. In 1997, Revered Pravrajika Amalaprana Mataji gave an exceptional talk titled, "God as Mother". The late Dr. Huston Smith interviewed Mataji in a television studio where it was video recorded. Last year, Dr. Huston Smith died. 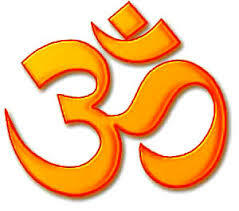 He was known widely in Vedanta circles throughout America. He held Amalaprana Mataji in high regard.